Today was all about texture. I made two cards today, I need some warming up first I guess. Anyways, I used this great Spellbinders die that I got in my last DT-kit from Hobbyworld. I tried to use it to cut and it looks nice and all, butI haven’t really got any good ideas on what to do with the dieut after making it. Today I used it to emboss instead and it turned out beautiful! This is actually the second card I made but I like it the best. There are texture from the embossing and I also put glitter on the panel and some gold perfect pearls. I used some leftovers from yesterdays projects to make little flags to embellish. It doesn’t photo as nice as it looks. I like using black as a card base more and more. It makes everything pop! I wonder if tomorrow is the last day of class or if there is a bous day this week too? I hope there is even though I’ll be quit busy this weekend I guess. Me and my daughter is having our birthdays and I really should get the house looking a bit better I guess. But this class is so much more fun! The watercolor on black is especially striking and the addition of the glitter just makes it sparkle! Nice job! I love your glitter card. So pretty. 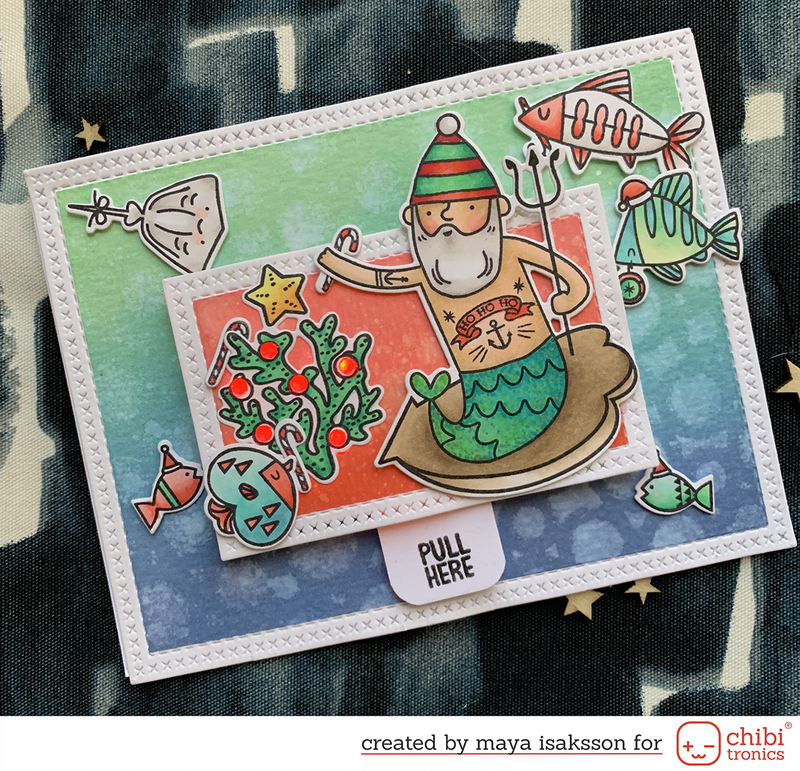 Beautiful card, I love the puff created by your embossing folder.